What's So Special About Gordys? Old fashioned kitchen R&D plays a role as well. People rave over our pizza for several reasons, but one of those is the dough. We have perfected our dough recipe (and we protect it!). We use the same criteria to ensure a fresh, delicious dish for each and every item on our menu. What's So Special About Gordy's Pizza Dough? Our pizza dough recipe was developed through our own kitchen testing over the past 54 years. Our original dough recipe was used up until about the year 2000. We revisited our recipe (which is proprietorially protected) about the turn of he millennium and made a few adjustments that resulted in a enhancement in flavor. Gordy's Pizza and Pasta is the ONLY place in the world that you can get a pie with our dough. 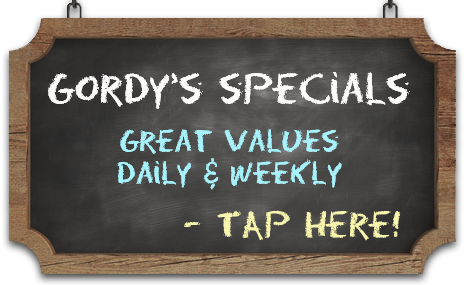 What's So Special About Gordy's Bread? Our signature bread is our own family recipe that we have been using for over 54 years. We have other restaurants that admit to copying our sandwiches, but admit that they cannot replicate our bread. We smile and say, "sorry" when they ask for our recipe. Not for sale. 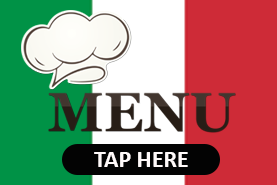 What's So Special about Our Spaghetti Sauce? The recipe for our delicious spaghetti sauce is a family favorite that was handed down to my brother and I from our beautiful Aunt Neva Alversano. It is rich and thick, full of spices and meat and then slowly simmered slow to bring out all those wonderful flavors. We serve it atop perfectly cooked al dente spaghetti pasta and garnish it with freshly shredded, aged Parmesan. We do enjoy serving it with our signature garlic bread created from yet another tried and true recipe for the perfect garlic butter.